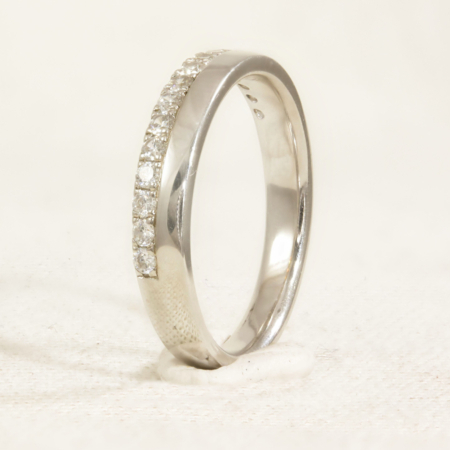 Diamond set curved wedding ring. 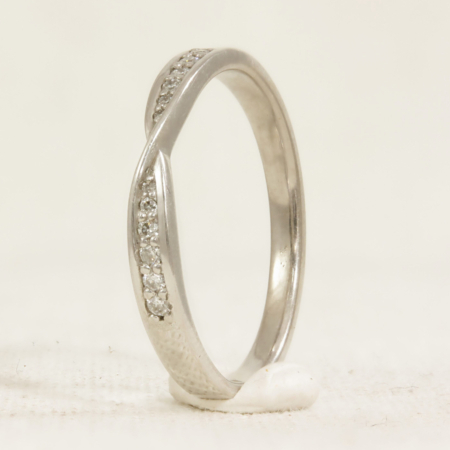 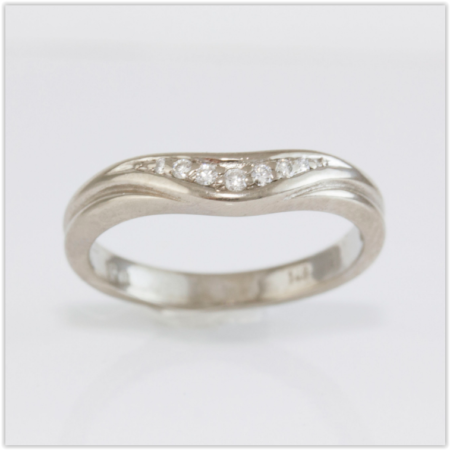 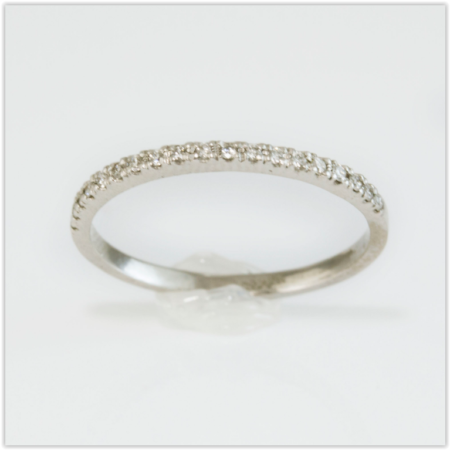 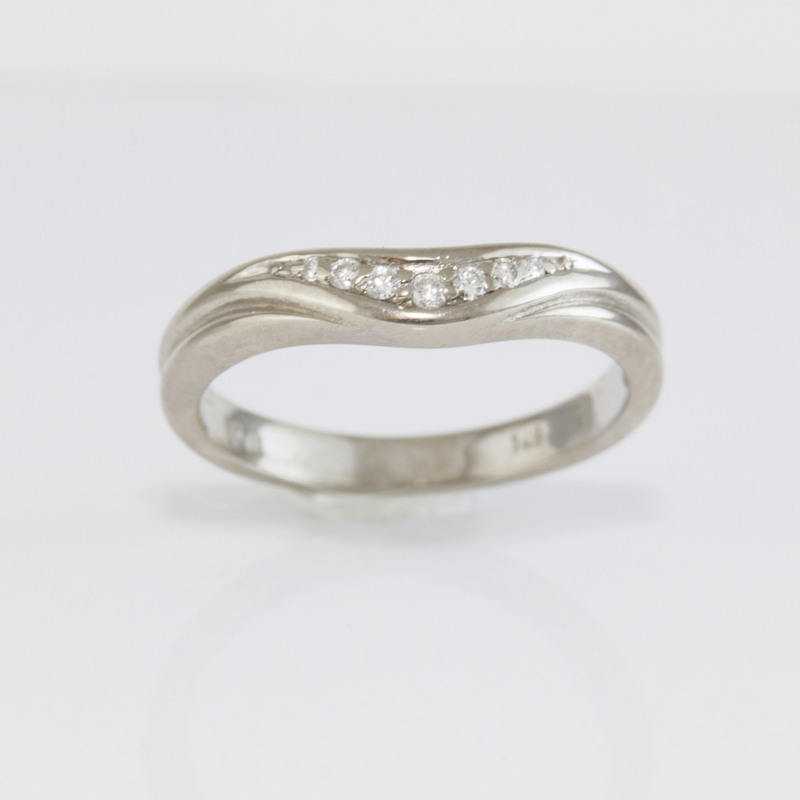 This piece is designed with a small curve in the center of the band, this is so the ring will sweep neatly around your engagement ring and avoid causing any damage to your engagement ring. 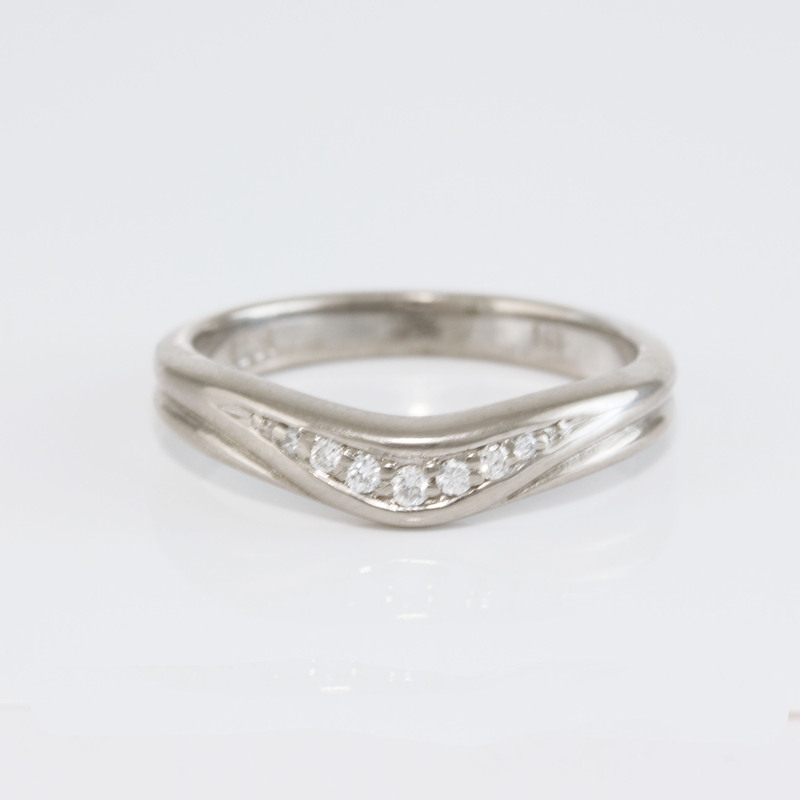 7 beautiful round brilliant cut diamonds set into the curve. 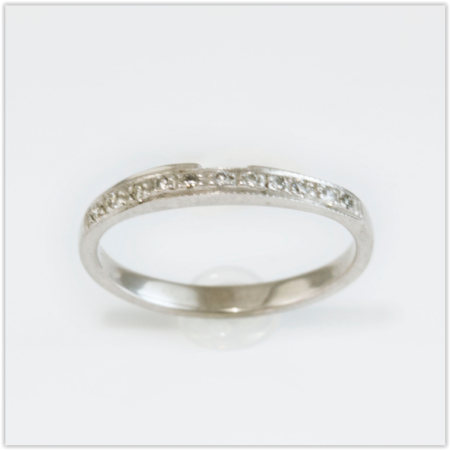 Engraving inside the band available at no additional cost.